For community association attorneys, it often seems that no matter how much we caution homeowners and condominium associations to take all of the necessary safeguards in order to prevent theft and embezzlement, new cases of blatant fraud always seem to crop up. 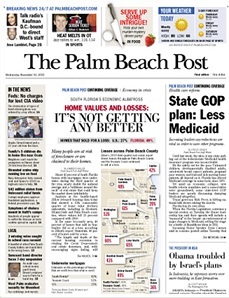 The latest example was chronicled in a recent article by the Palm Beach Post. The article focuses on the arrest of the bookkeeper for the master homeowners association of Cypress Lakes, a 1,000-home, 55-plus community off Haverhill Road in West Palm Beach. Kristine K. Moore, the bookkeeper, was charged with embezzling nearly $95,000 over the course of years from the association. Moore was paid $44,000 per year and had been employed by the association for more than six years. According to a police affidavit, management reviewed the association’s credit card bills and called police in April 2014 after discovering about $10,700 in charges for personal purchases during the preceding several months. Additional review then uncovered much larger losses, including missing cash deposits that had been paid by homeowners. The purchases included nearly $3,000 at Best Buy, $8,000 at Wal-Mart and Walmart.com, and thousands more from such places as Springhill Suites, Supercuts, Sprint Wireless, Publix, K Star Diamond & Jewelry, and Victoria’s Secret. They included hotel bills, perfume, 46 cell phone cases, a Louis Vuitton purse, and even an engagement ring. The preliminary accounting review revealed that Moore had been using the association’s funds for personal expenditures since 2011. On March 26, 2014, she overheard the property manager in the office discussing the discovery of serious discrepancies in the association’s financial records. She then promptly picked up her belongings, left the property and never returned to work. Cases such as this illustrate the importance for associations to put in place the most effective precautions and safeguards in order to help ensure that they do not become a victim. These include monthly reviews of all of its bank and credit card statements by at least two people, ideally including both a board member and management staff. There should also be annual audits by experienced and reputable independent accountants to carefully review and certify the validity of the financial records for all association accounts and payments. By using these and other best practices for avoiding fraud and theft of association funds, HOAs and condo associations are able to greatly diminish the possibilities for larceny and uncover it as quickly as possible if it does occur. Click here to read the complete article in the newspaper’s website.